One strong theme of both philosophy and social science in the twentieth century is the recognition that as humans we are 'dialogical' beings — people who come to a sense of self only in relationship with others. An indispensable aspect of the process of dialogue is the task of understanding the other on his or her own terms. This dialogical theme has worked its way into wider culture: the aspiration to understand other cultures on their own terms is commonplace today. If we slipped into the assumption that our culture is the norm toward which others should aspire, we would not be surprised to be confronted by our prejudice. But in recent years, this dialogical view of the world seems at risk. 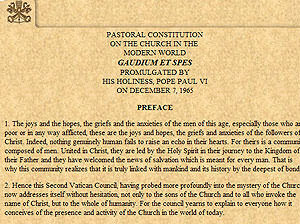 It is certainly contested within the Catholic Church, which at the Second Vatican Council spoke of the church-world relationship as one of dialogue. Some within the Church raise questions such as: when dialogue requires participants to be radically open to the other, recognising and respecting the fundamental differences between cultures, doesn’t that put at risk the truths to which the church should adhere? These people fear that the notion of dialogue is loaded with relativist assumptions. They point out the influence of liberal culture on contemporary concepts of dialogue, arguing that in liberal cultures, open dialogue requires participants to set aside metaphysical or religious commitments. And with commitments off the agenda, dialogue becomes the purely procedural exercise of establishing an arrangement with which all parties can live. From the opposite perspective, others are suspicious about what the church might mean by dialogue when it holds that Jesus of Nazareth is the definitive revelation of God. Can a dialogue in which one party is convinced about the rightness of its position meaningfully be called a dialogue? What is in dispute is the meaning of dialogue itself. Those who raise the first set of questions are keen to hold on to some notion of truth in dialogue, contending that it is possible to get closer to or further away from the truth. They want to avoid relativist views. Those who raise the second set of questions want to set aside ethnocentric views, in which one’s own culture is seen as the norm to which other cultures should aspire. This second group hope to remain open to other people and cultures in dialogue, understanding them on their own terms. The work of a significant twentieth-century philosopher, Hans-Georg Gadamer, can shed some light on this dispute and on the broader dispute about dialogue. 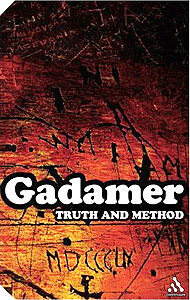 Gadamer’s major work, Truth and Method, examines the nature of the human sciences. He argues that the dominance of the natural sciences in our age has led us to misunderstand the human sciences. For Gadamer, the task of understanding other people, cultures, histories and texts is best understood as a dialogue — a dialogue which avoids ethnocentrism while at the same time valuing the ideal of truth in human affairs. A couple of Gadamer’s sentences express this view of dialogue. He says: "In a successful conversation [the dialogue partners] come under the influence of the truth of the object and are thus bound to one another in a new community. To reach an understanding in dialogue is not merely a matter of putting oneself forward and successfully asserting one’s own point of view, but being transformed into a communion in which we do not remain what we were." In brief, Gadamer’s understanding of dialogue means that conversation partners must deeply value both their own tradition and that of the other. Firstly, dialogue requires that partners come to understand the other in language appropriate to the other’s self-understanding. Obviously, this will vary according to the culture studied. But secondly, the process of accurately understanding the other will involve each partner in attending to his or her own path toward the other. That is, dialogue will engage each partner in clarifying misperceptions of him- or herself. Recognising that I had previously misunderstood the other will bring to light my own prejudices and allow me to put them aside. In the process of dialogue, therefore, conversation partners will come to a clearer understanding of the other’s difference and will in turn understand him- or herself anew. As Gadamer puts it, in dialogue "we do not remain what we were". For the believer this must mean that in the process of dialogue he or she will discover that God is at work in the other in ways that he or she had not previously known. Surely this is what the Vatican Council means when it speaks of the Holy Spirit working in the various voices of our day. When understood as dialogue, the task of proclamation will necessarily lead the believer into a deeper knowledge of God through encounter with the other.